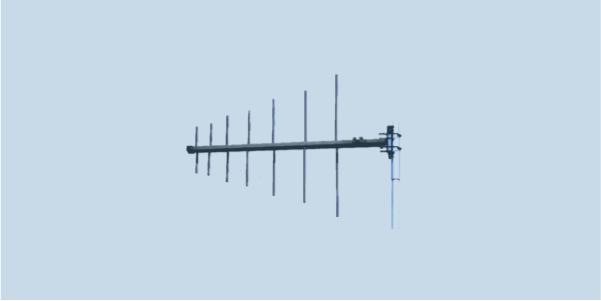 AD-22/B is a log periodic antenna covering frequency range of 225 to 512 MHz. The antenna is composed of a boom element and 7 screw-in dipoles made from aluminum alloy. The included antenna mount enables installation on masts of diameter between 20 and 60 mm. The antenna is primarily intended for long-life stationary use due to construction. All metal parts are painted with UV-resistant polyurethane paint. Version AD-22/B-T includes a canvas bag for boom and dipole elements. Explore our large selection of AD-22/B compatible masts.